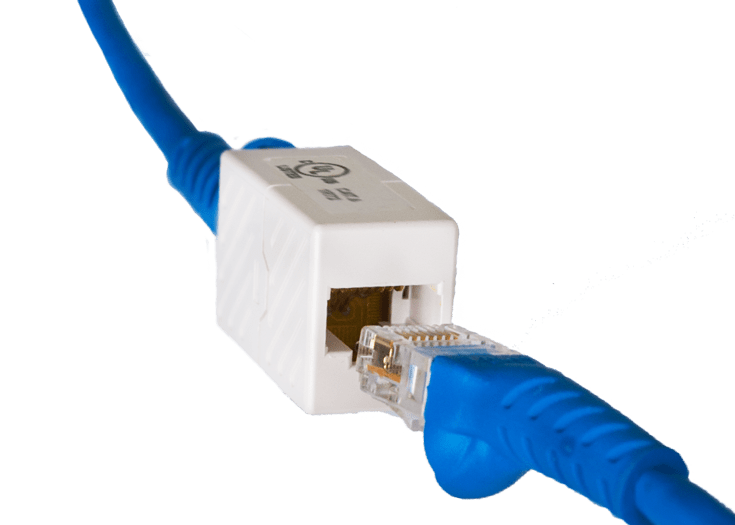 Cablesys Ethernet connectivity products are designed for quick field installation. 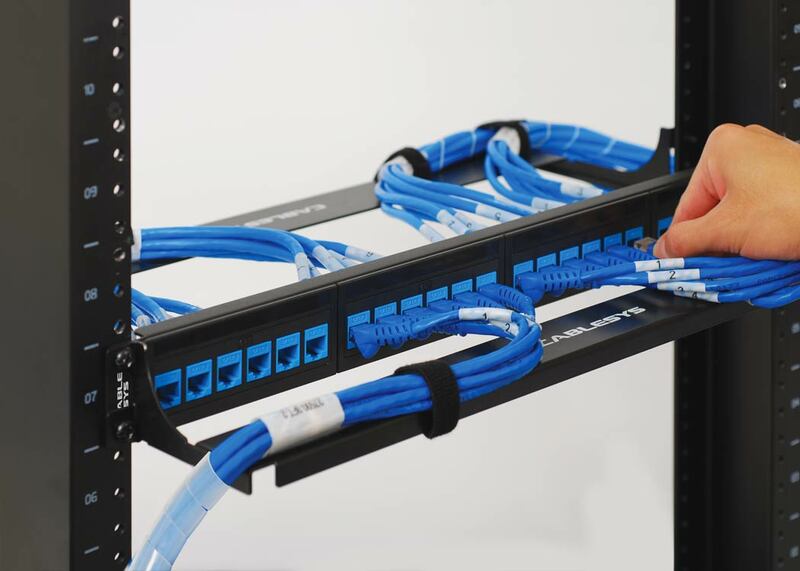 Choose between the feed-through patch panel or pre-terminated patch panel systems which eliminate the need to punch down UTP wires. 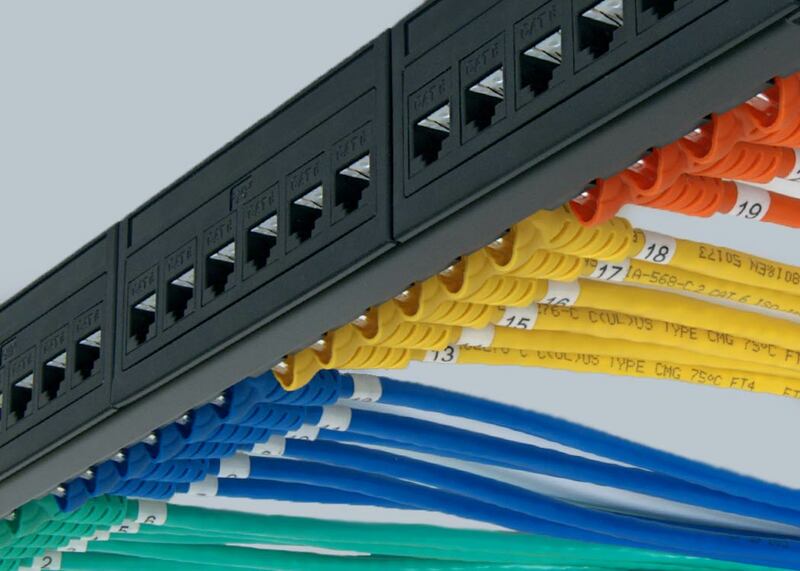 To simplify deployment, we offer a pre-terminated Ethernet patch panel system. 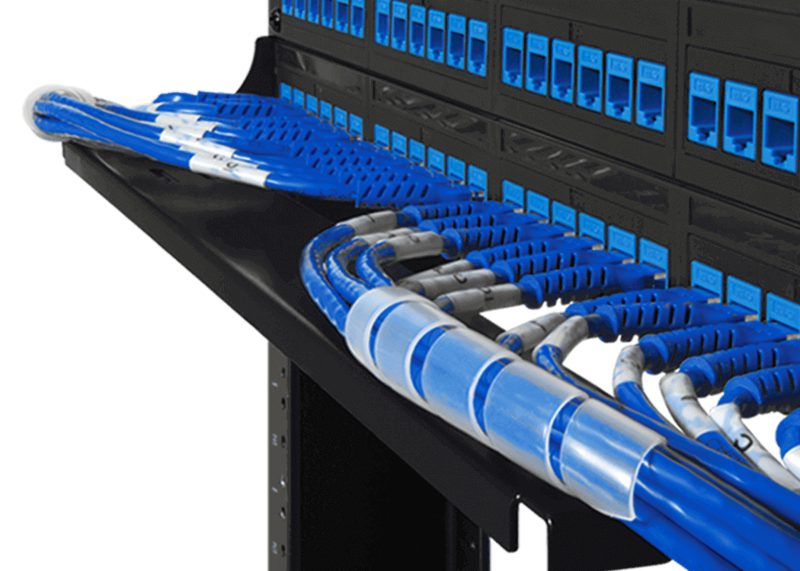 The cabling system is modular, a concept of plug-and-play. 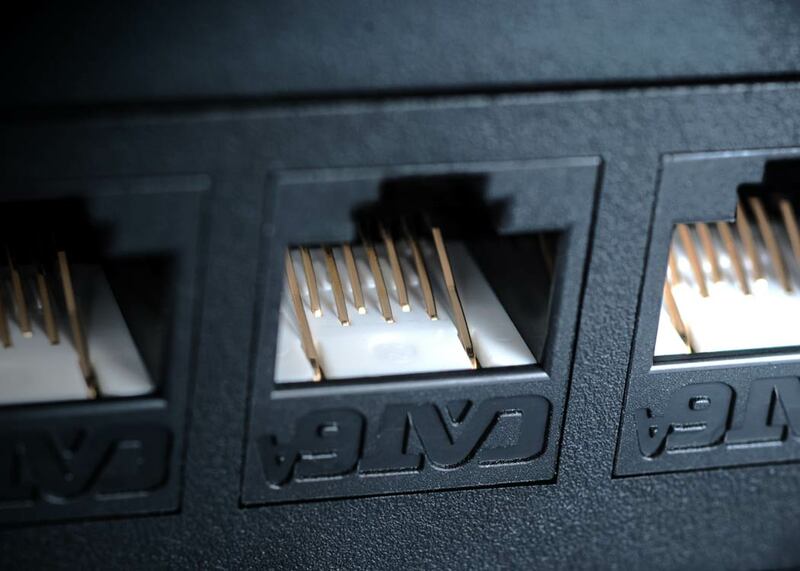 We can build the system using CAT6A, CAT6, or CAT 5e cables and connectivity. 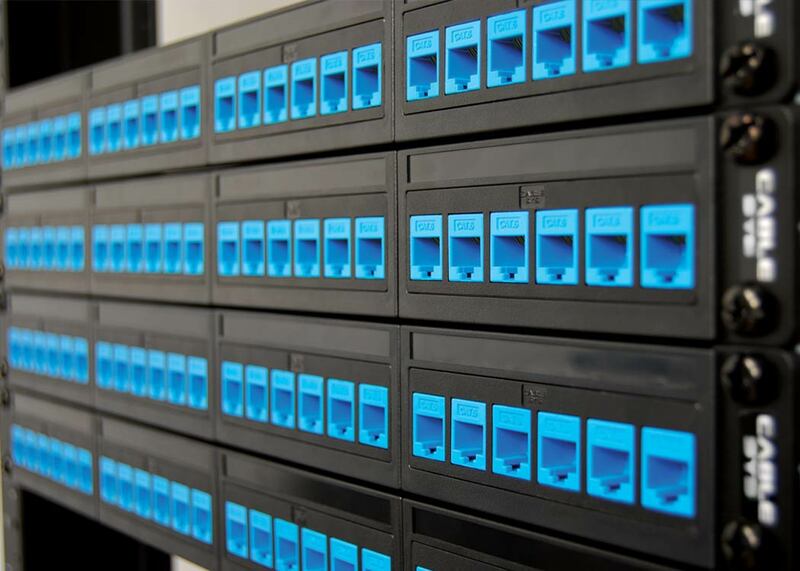 Our Ethernet patch panels are modular, another concept of plug-and-play. We designed them with four snap-in cassettes. Each cassette has 6 ports equipped with RJ-45 connectors. The cassettes can be removed using a flat head screw driver and interchanged. Technologies like IP convergence and Cloud are bringing more pressure to the network. Migrating to a 10 Gigabit Ethernet will avoid congestion. 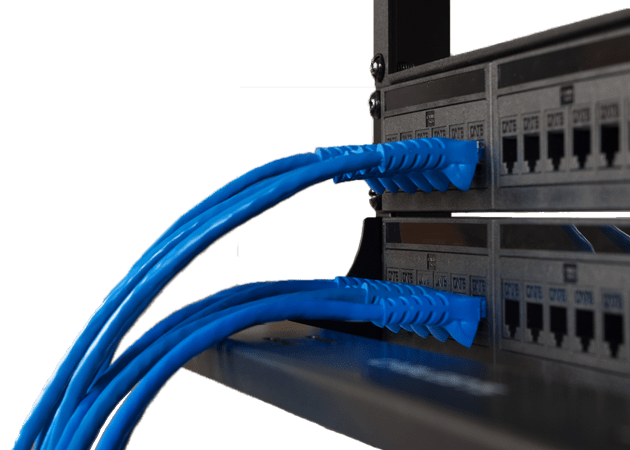 Cablesys offers Category 6A Ethernet connectivity for 10G networks. Maintaining patching fields can be a challenge if the patch cords are not organized. Cablesys offers Ethernet patch cords in various colors, lengths and configurations. As more patch cords are added, more weight is applied between the plug and connector. To reduce stress, install horizontal cable management brackets. 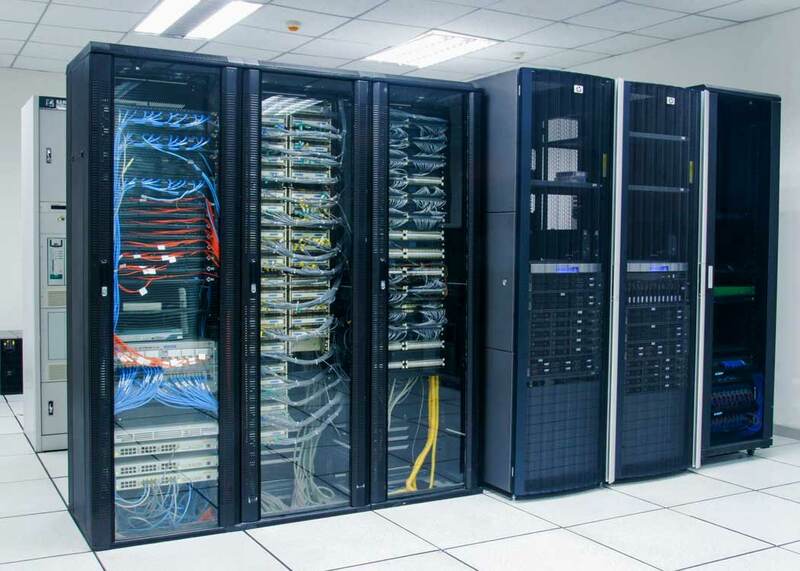 Guaranteed system performance is crucial to any data center. 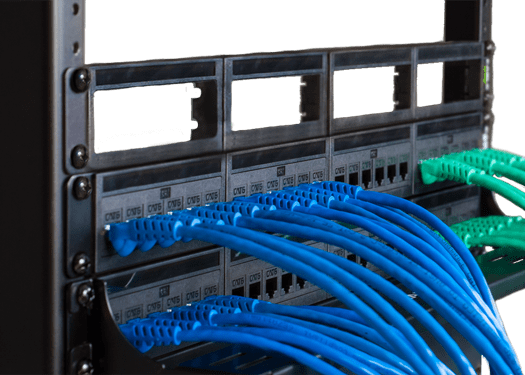 Cablesys category-rated feed-through patch panels and inline feed-through couplers (CAT 6A, CAT 6, and CAT 5e) will perform by TIA-568 performance standards for a full fifteen years from date of purchase. 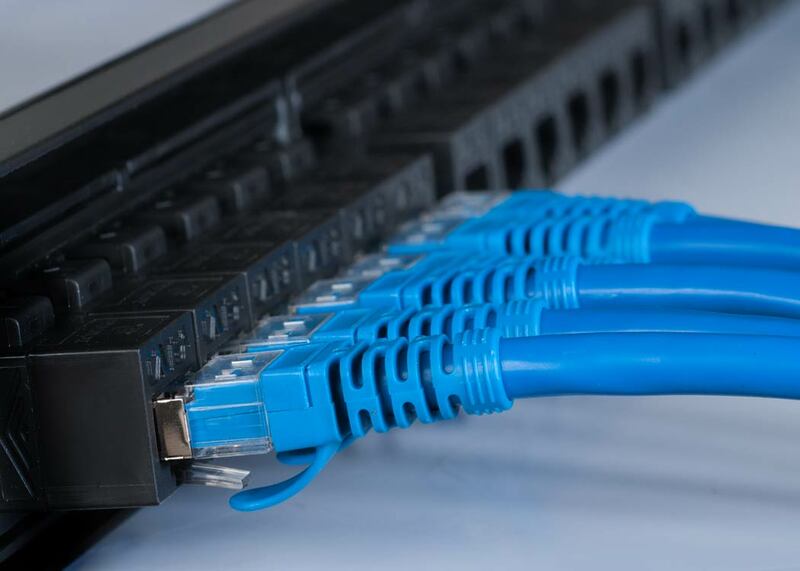 Industry cabling standards provide a firm foundation for establishing a coherent infrastructure and maintaining a high level of system performance. 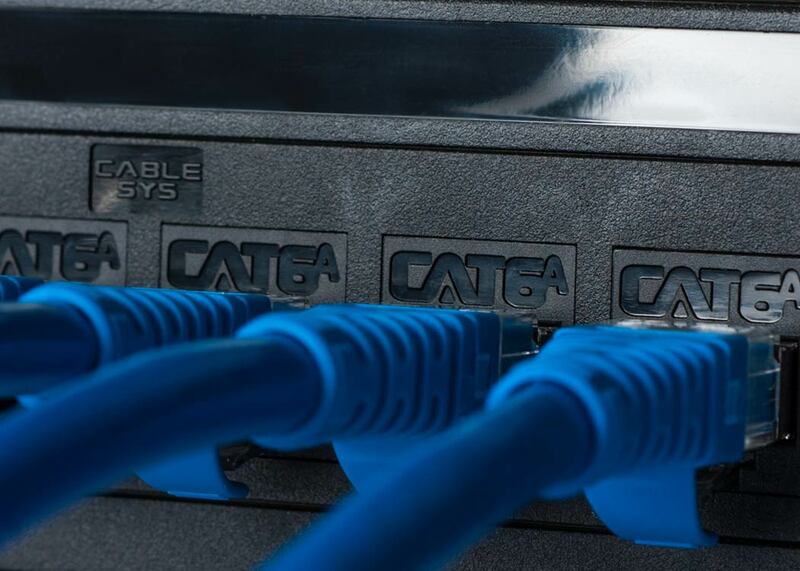 Cablesys Ethernet connectivity products are individually tested to meet or exceed TIA/EIA-568 performance standards. To protect the environment, Cablesys Ethernet products are made to comply with RoHS (Restriction of Hazardous Substance); a directive restricting the use of certain levels of hazardous substances; such as lead, cadmium, mercury, hexavalent chromium, polybrominated biphenyls (PBB) and polybrominated diphenyl ether (PBDE).